Bethesda has tweeted out a friendly reminder of the final dates and times for the Fallout 76 B.E.T.A., so if you want to jump into the irradiated hills of Appalachia before launch, today may be your last chance. Today’s B.E.T.A. runs from 1 pm – 3 p.m. ET. The final session hits Thursday, November 8 from 2 p.m. – 8 pm ET. 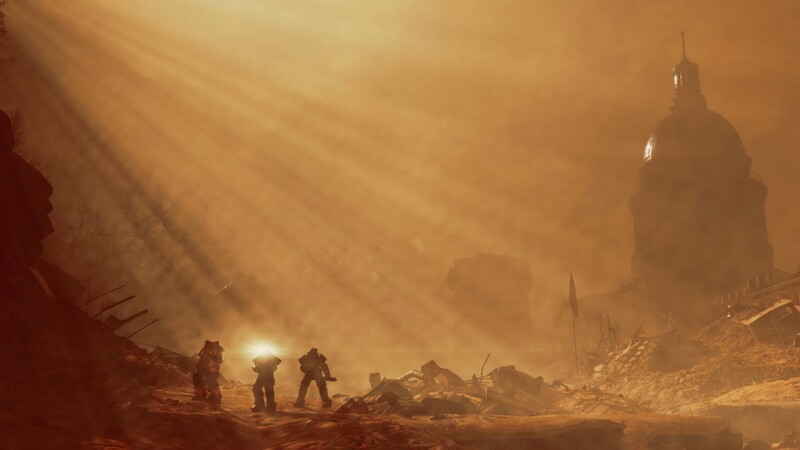 These two sessions combined give players a total of eight hours to run amok with friends or venture solo in Fallout 76. Last week Bethesda increased the window for one of the sessions to make amends for a bug that was forcing players to redownload the entire 50 GB B.E.T.A. In a note to fans, Bethesda warned that there will be bugs and glitches in Fallout 76 as the team dabbles in their first ever persistent online open world. Fallout 76 launches November 14 for PlayStation 4, Xbox One, and PC. If you’re curious about trying the B.E.T.A., but still aren’t sure of what to expect from Bethesda’s new foray into the post-apocalypse wasteland, check out our Fallout 76 news hub for the latest info on how the game is shaping up. Also be sure to check out our deep dive into the game where we spent three hours wandering through Bethesda's nuked-out West Virginia.